Supplying a perfectly balanced supply of some 25 specially chosen vitamins and minerals, Feedmark Benevit Advance also contains essential fatty acids such as Omega 3 & 6. This combination of effective and powerful ingredients helps nourish your horse or pony from the inside, reflected in superb coat quality. Suitable for all ponies and horses, from foal to veteran, competition racehorses to lead-rein ponies. 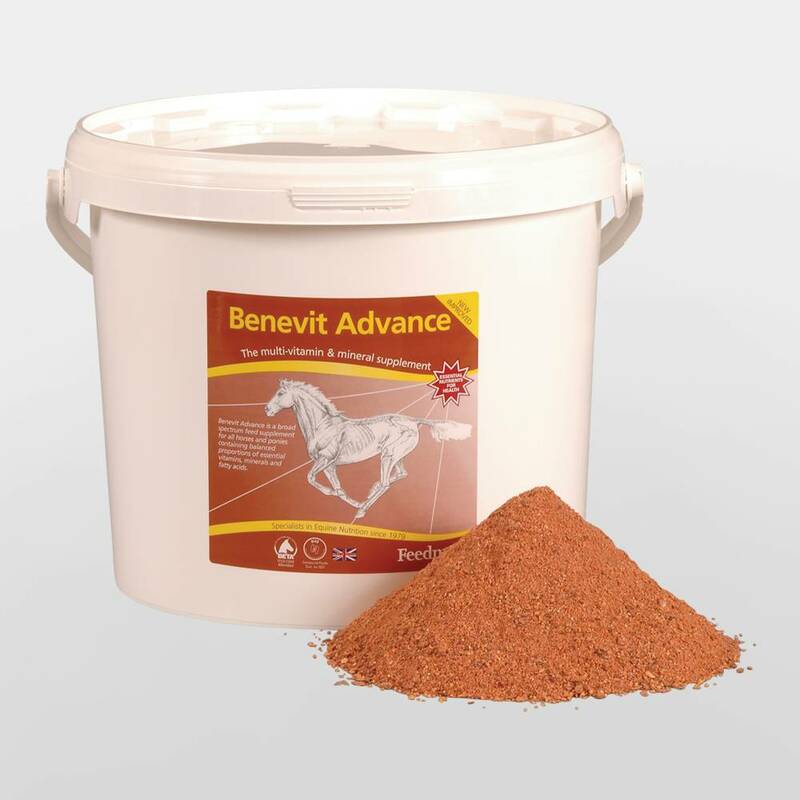 There are currently no questions for Feedmark Benevit Advance for Horses - be the first to ask one!